Several weeks into the expedition, whimsical figures began to appear on a side table in the conference room where we all came together for our daily science meeting. It seemed that each day when we came back on shift, more paper creatures had appeared. 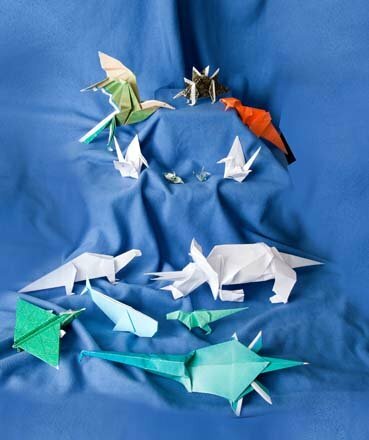 Then, somebody said that it was Daisuke who’d been making all the origami in his spare time, then leaving the little figures out to share with the rest of us. After weeks at sea, working hard, seven days a week, twelve hours a day, it can make a big difference to have someone add a little something bright and unexpected into your day.